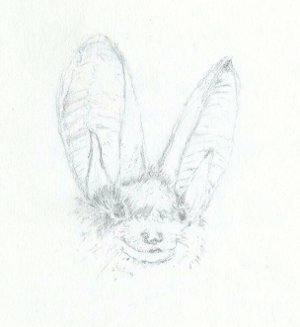 Here's an online drawing of a long-eared bat. I sketched it from a really good book called "Bats" by Phil Richardson. It's written in a humorous way and also has some great bat cartoons. 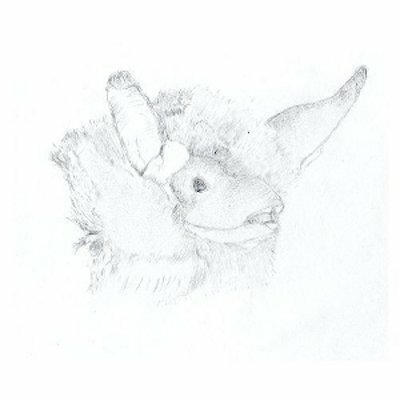 And this is a drawing of a Natterer's bat, which I sketched from a Bat Conservation "Join Us" leaflet. This is an insect-eating species that's found in Europe and is pretty rare in the UK.